This is my final week on the "IT" list. I hope you've all been able to gather some style inspiration from these other lovely ladies during the past four weeks. Thanks to Jill of the Good Life for having me! My Fancy Pants is whipping out her fur vest! Pop over to see how she pairs it with a dress and wedges for a beautiful transition to Fall! Citrus Refreshing Fashion dresses up animal print leggings with a blazer and a pop of color! 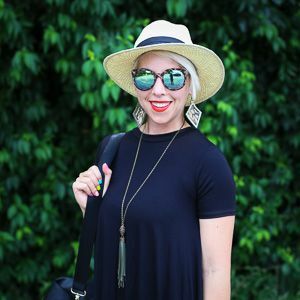 Head over to see this effortlessly chic look! 100 Inspirations recreates Emma Watson's minimalist style for under $112 - including a blazer! Such a steal! Everyday with a Red Head pairs printed pants with a hint of colorful sequins for an amazingly bold look! Love! 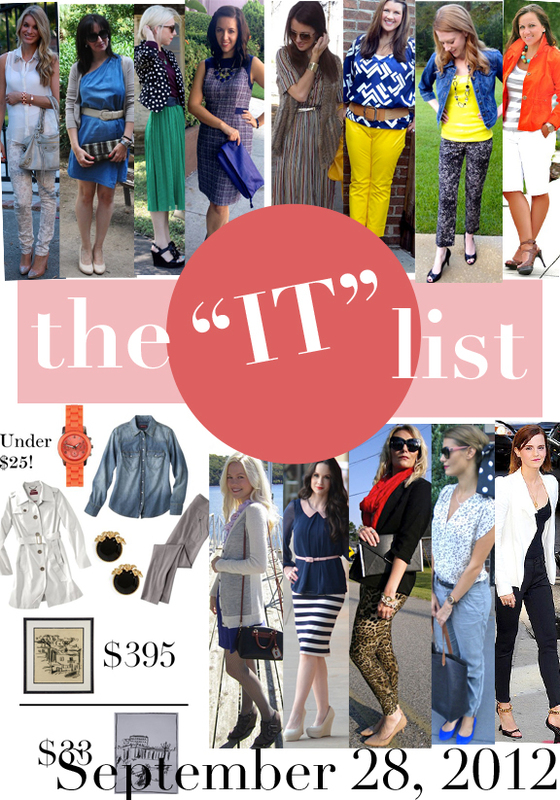 the IT list is brought to you weekly by Jill of Good Life and edited by Michelle of Second St. East.